PESHAWAR, Pakistan Unmanned U.S. aircraft fired four missiles at a house in northwest Pakistan before dawn Wednesday, killing at least 16 suspected militants, Pakistani intelligence officials said. The strike elicited a swift condemnation by the Pakistani government, which released a statement saying the strike was a violation of its sovereignty. 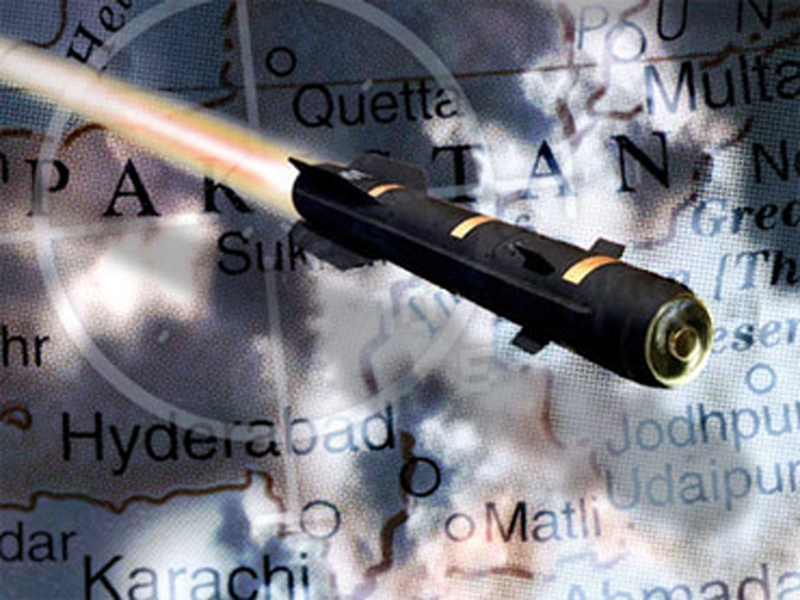 The strike in the Sarai Darpa Khel area of the North Waziristan tribal region also wounded two suspected militants, said the officials, speaking on condition of anonymity because they were not authorized to talk to the media. The Reuters news service quoted local officials as putting the number of dead at a minimum of 17, and said the attack was the biggest of its type this year and the second since Prime Minister Nawaz Sharif took office. The suspected militants who were targeted were believed to be from the Haqqani network. U.S. officials consider the Haqqani network to be one of the most dangerous militant factions fighting American troops in neighboring Afghanistan. The leadership of the Haqqani network pledges allegiance to Taliban chief Mullah Omar but operates fairly independently. U.S. drone strikes have become a serious source of tension between Washington and Islamabad. The Pakistani government regularly denounces the strikes as a violation of the country's sovereignty, even though senior officials are known to have supported some of the attacks in the past. "The Government of Pakistan has consistently maintained that drone strikes are counter-productive, entail loss of innocent civilian lives and have human rights and humanitarian implications," the Ministry of Foreign Affairs said in a statement Wednesday. "These drone strikes have a negative impact on the mutual desire of both countries to forge a cordial and cooperative relationship and to ensure peace and stability in the region," the ministry said. President Sharif vowed almost immediately after taking office to bring an end to the U.S. strikes, and two Pakistani intelligence officials told CBS News on Wednesday that the drone attack in North Waziristan could diminish Sharif's interest in helping push forward U.S.-backed peace talks with the Taliban. "This destroys whatever little hope there was to have a peace process in place," one of the intelligence officials -- both of whom discussed the sensitive topic on the condition of anonymity -- told CBS News' Farhan Bokhari. U.S. officials rarely provide details publicly about the covert CIA drone program in Pakistan. Elsewhere in northwest Pakistan, militants attacked a police post before dawn Wednesday and killed six policemen, said a local government administrator, Habibullah Khan. Ten policemen were wounded in the attack about 15 miles southeast of the city of Peshawar, said another government official, Feroz Shah. The post was staffed by both paramilitary police from the Frontier Constabulary force and also by tribal policemen. Khan said policemen retaliated in a gun battle that lasted several hours and killed several militants. No one has claimed responsibility for the attack. But the Pakistani Taliban have carried out many similar attacks against security personnel in the area.